The Flavor Unit were definitely a crew to check for. They had the vocal talents of Lakim Shabazz, Double J, Latee, Freddie Foxx, D-Nice, to name a few. Not forgetting the awesome production skills of DJ Mark the 45 King, who had a reputation for finding some off-the-wall funk 45 loop and turning it into a hip hop classic! 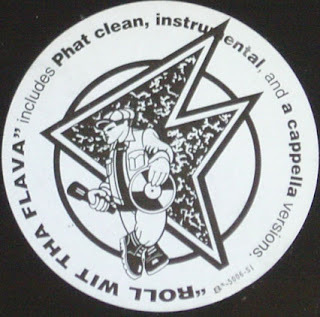 Along with the Juice Crew and BDP the Flavor Unit has a firm place in Hip Hop history. In '93 the Unit came together to record a posse cut entitled "Roll With Tha Flava" produced this time by D-Nice. It went down a storm both stateside and here in the UK. 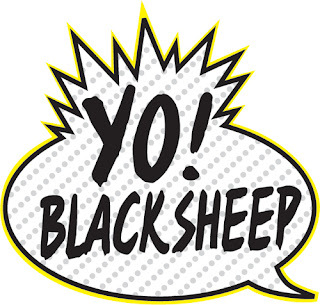 Highlights include the Fu-Schnickens trademark tongue-twisters, and a great cameo too by Black Sheep! If you manage to cop a promo version on 12" it has the acapella version on the flip - great for dropping a little remix. Although it's a shame that not all the Flavor Unit members ripped rhymes on this cut, it would have been great to hear Lakim Shabazz and Double J do their thing. Oh well, anyway here's our 5-minute remix of this '93 classic posse cut. Once again no special effects or camera tricks here at the DAILY DIGGERS' HQ - just a raw beat and the lyrics. Please keep checking back for more remix antics, we got plenty more accapellas in the crates that are soon to get the DD treatment! BOOYAA!